Last week, I blogged about two books I was currently reading, hoping that one of them would be book # 50 for 2010 before the first half of the year ended. Book # 50 ended up to be a different book, one that I bought on a whim and finished in two days. Crazy, I know. But I guess I overestimated myself with the two books since they were quite long. Since I already gave teasers for those two books, I’m giving one from another. Yes, I read a lot of books at the same time, and I know that’s crazy, but I have different books for different occasions. I only read one book a time if it’s a classic, but since most of the books I’m reading are all YA/fantasy/chick lit, I can afford to focus more than one. Anyway. Enough of that. 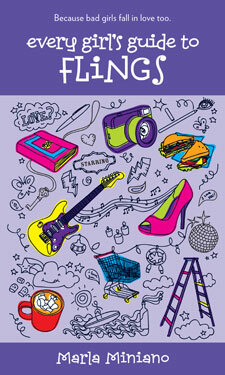 Today’s Teaser Tuesday (hosted by MizB) is from an Asian chick lit novel that I got a week ago. Pre-school teacher, Grace Lim, thinks that she has finally found her man at age 27. Mr-Blind-Date-No.-7, Mike, has turned out to be everything that she s ever wanted, dreamt about, and more! 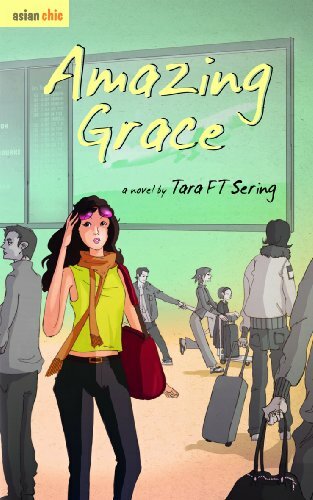 With a marriage proposal in hand, Grace thinks that she is set for life. Trouble begins to stir in paradise when Mike informs Grace that he is re-locating from Manila to sunny Singapore because of work. But the conveniences of modern technology aren’t enough to bridge the distance between Mike and Grace, and what of Mike s colleague Kaela who appears in every photo that Mike s uploaded online? So Grace decides to give Mike a surprise visit in Singapore but is she ready for what she will find? Filipino chick lit is starting to grow, and I’m glad to see variety in the choices! Interestingly, the book is written in second person POV, so it’s like I am Grace in the story. I’ve learned to avoid writing in second person in my pieces, because it almost always doesn’t work as well as it should be. I just started reading this book, and I’m liking it so far, so I guess its second person POV works! Vince thinks his life is over when he loses Cat – the girl who turned his life around after Andrea broke his heart. Then his friend Connie drops the bomb on him telling him she’s pregnant and that she wants him to come to her wedding in America – where Andrea is. His first love. Does this mean Vince and Andrea finally get another chance? Or does Vince land an ending that he never expected? 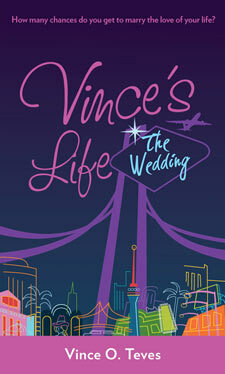 I never really caught Vince’s Life in Cosmo when it was first published there because I never read Cosmo. Or wait, was it Seventeen? I can’t remember. But I do remember contemplating if I will get the first book of the series a few years back. Back then it was a curious thing for me to read a story with a guy narrator, when almost all the books I read have female narrators. When a friend told me that the first book was good, I picked it up and read it and liked it. I liked it because Vince was such a character. I don’t know if this is a true story, but I thought Vince was once of the most sensitive guys I’ve ever read about. A sequel came out and I read it immediately, too, and was satisfied with who Vince ended up with (even if I kind of wished otherwise). I’m the type of person who reads through an entire series, so when a third book came out, I knew I had to read it. It was a quick read — I was done in a couple of hours (and I read it at work, too). Did I squeal in delight in the ending? Did I feel tingles inside me as Vince pursued his girl — again? But I didn’t. Don’t get me wrong — it’s a good story, yes, but I felt like it was a typical story — almost like I was reading a teleserye script. I don’t really know what kind of twist I was looking for, but I didn’t exactly jump for joy when I finished reading. Do you get what I mean? Yep, super sensitive guy right there. I think. → Slightly disappointing, but then again I wasn’t really the biggest fan anyway. Personally, I liked the first two books better. Just when you thought there are no more challenges to join for 2010, yes? Where was I? Oh yeah, introducing the project. PROJECT 20:10 is a campaign to get people to support more local content, as well as create more local content. By joining the project, you pledge to read/watch/play the works of twenty (20) local authors/ creators/ developers who you haven’t supported before, before the year 2010 is up. Also, by joining, you pledge to create an original piece of high quality fiction/ comic/ animation/ game worth at least ten (10) pages/ minutes/ levels before the year 2010 is up. The premise here is to solve the deadlock: the main problem for our lack of local content is there is no support, and there is no support because there is lack of local content. It’s an endless loop that will never end unless something is done to break it — and to break it, both sides should be addressed. SUPPORT 20: I pledge to read the works of 20 local authors who I haven’t supported before, before 2010 is up. CREATE 10: I also pledge to create an original piece of high quality fiction at least 10 pages before the year 2010 is up. I’m not sure if what I will write for this year’s NaNoWriMo will be considered “high quality”, but the Create 10 thing is almost done, at least by November. ;) The Support 20 might be hard, though, and probably way beyond my comfort zone. The only local fiction I pick up are the local chick lit — at least the ones that catch my eye. What else could I read? Do graphic novels count? But a challenge is not a challenge unless I get to challenge myself, right? Okay, that probably only made sense to me. But if you’re a Filipino, you like reading and you’re interested in challenging yourself, join Project 20:10! This might be your chance to start seeing more quality Filipino works on the shelves of our bookstores! We have to start somewhere, right? Oh, and Project 20:10 is having its launch on January 30, 2010 at the Ateneo High School Fair, 1:00PM. As part of the launch, there will be a talk on character creation by Yvette Tan, Elbert Or and more! :) More details in their Facebook group page (where you can join too!). Okay, now where to get those 20 local works now…any suggestions? Naunahan na naman ang mga pulis sa pagtugis sa mga holdaper ng isang jewelry shop. Bago noon, may iba na ring nakahuli sa isang carnaper; sumaklolo sa mga taong nasa itaas ng nasusunog na building; nagligtas sa sanggol na hinostage ng ama; tumulong para makatawid sa kalsada ang isnag matanda; tumiklo sa mga miyembro ng Akyat Bahay; sumagip sa mga mag-anak na tinagay ng tubig-baha; nag-landing ng maayos sa isang Boeing 747 na nasiraan ng engine; at nagpasabog s aisang iganteng robot. Pero sino ang taong ‘yon? Maliligtas nya ba sila Aling Baby? At ano nga ba talaga ang sabon ng mga artista? Bob Ong is known for his funny yet thought provoking books about the life of a Filipino. I’m sure you’ve heard of him at one point, or have received a forwarded email regarding his little thoughts on life and love (ex. “Kung maghihintay ka nang lalandi sayo, walang mangyayari sa buhay mo. Dapat lumandi ka din.” Don’t wait for someone to flirt with you. Learn to flirt as well.) and I know that most people have certainly agreed with a lot of what he has written. 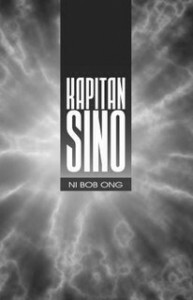 Kapitan Sino is Ong’s 7th book, and it takes us in an adventure in the town of Pelaez. There we find Rogelio, an ordinary man who makes a living by fixing different appliances in their shop named “Hasmin’s Sari-Sari Store” that they’ve planned to change but never got around to. He lives his life one day at at time, enjoying his little jokes with the kids who insist on buying candies at their sari-sari store turned electronic repair shop, listening to his neighbors Aling Precious and Aling Baby best each other and sing to the different songs he hears on the radio. All this changes one day when his friend Bok-Bok visits his place and they both find out Rogelio has super powers. Kapitan Sino was born, and from there, Rogelio started saving other people’s lives, disguised in a silver costume and helmet that his blind friend and childhood love Tessa made. Pretty soon, Kapitan Sino was everywhere — on the children that play along the streets pretending to be the hero and the villains, on snacks, gums, newspaper, radio, TV. Everyone was thankful for Kapitan Sino’s heroism, and Rogelio was just happy that he was able to help. This was up until his encounter with the town’s monster, which he defeats but then fails to save someone that mattered to him. Kapitan Sino is a lot like his previous book MacArthur, but a bit more fun. The thing I did not like about MacArthur was how depressing it was, and I didn’t want to read it afterwards. Kapitan Sino is funny in the sense that it brings in a lot of late 80′s to 90′s Filipino culture, such as snacks like Rinbee, Bazooka Bubble Gum and TV shows like Pinoy Thriller or Batibot — things that Generation X and Y will surely understand and remember. However, Kapitan Sino is kind of sad too, because it shows us just how our nation is, reflected in the small town of Pelaez: from the corrupt government officials to the people who spend time trying to best each other with their riches, spending more time gossiping than doing something productive and even blaming other people for things that are not their fault. It’s a startlingly accurate picture, and it’s kind of sad to realize the reality of what Bob Ong has written. But do we really need superheroes to be able to fix our situation? Do we have to have super powers to be heroes? Or can we be heroes on our own? I’ll leave that up to you to answer.